The JMC 1,6T Carrying light truck comes in various configurations and is a real workhorse, but still caters for the comfort of drivers. Two interesting changes are slowly taking place in transportation on farms. 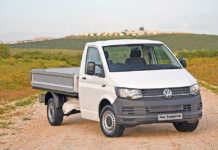 Firstly, the light truck is taking over the role of workhorse/cargo transport, relegating the more traditional bakkie to transporting people in varying degrees of luxury. The second change is the Chinese revolution. Vehicles from China are improving every year in terms of build quality, functionality and performance. These affordable no-nonsense vehicles are made to work and are here to stay. The JMC 1,6T Carrying light truck in its various configurations is a case in point. A workhorse through and through, it nevertheless caters for the basic comfort of the driver and co-driver with power steering, a heater/air conditioner, electrically operated windows, and radio/CD player, albeit it is somewhat rough around the edges compared with modern passenger vehicles. There is a central door-locking button on the armrest of the driver’s door, and the floor has a tough, waterproof vinyl-type covering. 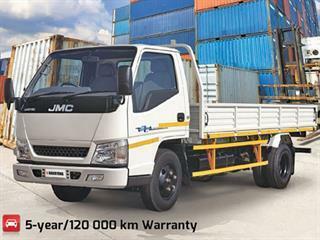 The JMC 1,6T Carrying is available in different configurations in a long and short wheelbase; the latter can be driven with a Code 8 driver’s licence. The cab-over-engine configuration affords unmatched space utilisation. 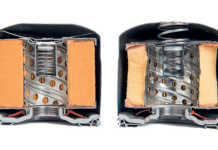 The driver and co-driver sit practically over the front wheels, with the engine under and in between them. It’s not the most comfortable ride on a bumpy road, but it provides superb forward vision, as in the case of some advanced no-holds-barred off-road vehicles such as the Land Rover Forward Control and the Mercedes-Benz Unimog. The simple but rugged ladder-frame chassis and leaf-spring suspension with telescopic shock absorbers are built for years of trouble-free heavy work. The massive tow-hook mounting point on the rear of the chassis is one of the best I’ve ever seen. The loading bin is large, completely flat with a ribbed surface, and located above the top level of the rear wheels. A sturdy cab protector frame with lateral load-holding stubs sits just behind the cab. The rear and side flaps fold down for ease of cargo loading, then fold up again and engage each other and the rear of the cab with sturdy interlocking levers. Lash-down hooks below the hinge axis-line of these flaps make securing the load a pleasure. The JMC is designed for working, with functionality foremost in mind. 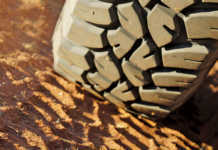 Two important functional aspects – servicing and repairs – are catered for in a manner unmatched in many similar vehicles. The entire cab tilts forwards and upwards to provide exceptional access to engine, transmission, air conditioner, turbocharger and other crucial components. The simple hinging mechanism is fool-proof and safe interlocking cradles and locking latches are built for a lifetime of hard work. The balance is perfect and the cab can be moved with one hand after the latching safety mechanism has been disengaged. Operation is simple and logical and the only challenge is that the driver and co-driver have to disembark even when the engine oil level is checked. The heavy-duty battery is mounted directly onto the chassis on the right-hand side under the load bin, readily accessible for servicing and replacement. The fuel tank and filler plug are mounted just in front of the battery, also directly onto the chassis. A heavy-duty oversized fuel filter incorporates a water trap with a glass casing mounted. The spare wheel is carried horizontally under the chassis behind the rear axle. I was given a unit to test drive, but in deference to its brand-new and spotless condition – only 167km on the clock and still with a temporary permit stuck onto the rear window – I drove it for only about 30km on tar road to get the feel for it. The engine, gearbox and clutch were understandably still very tight and fuel consumption figures would not have been a fair reflection. Once it has been properly run in, I shall test it again under a full load, and write a follow-up. Phone 082 305 9433 or email [email protected].